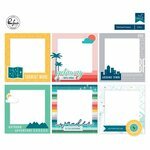 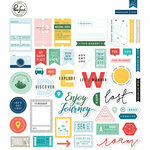 Add colorful modern accents to your pages, journals and cards with the Mixed Embellishment Pack from the Out and About Collection by Pinkfresh Studio. 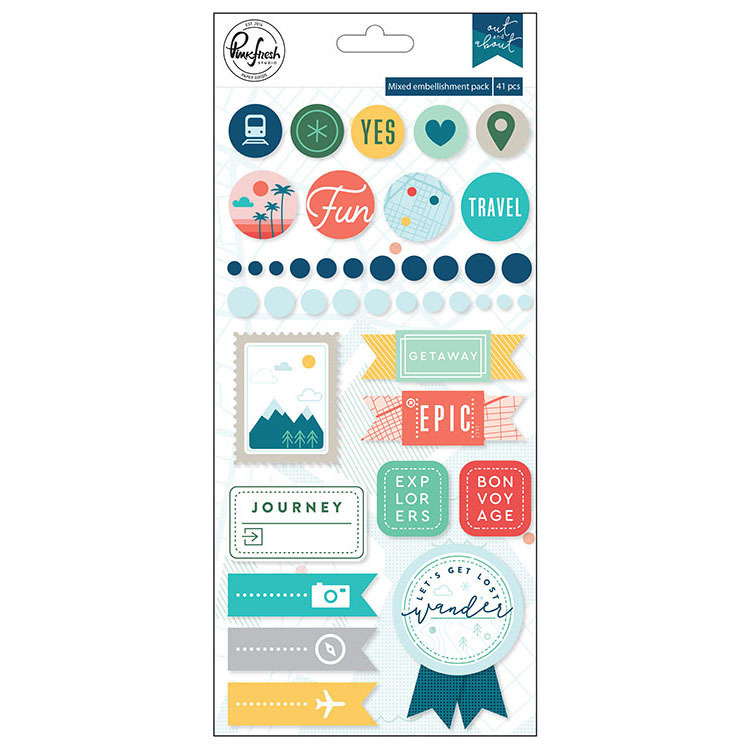 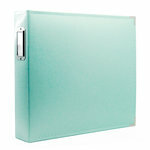 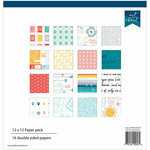 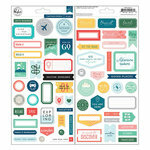 There are 41 assorted stickers and self-adhesive embellishments included in the pack. 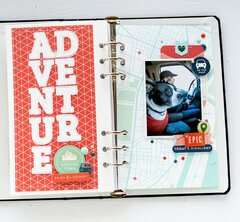 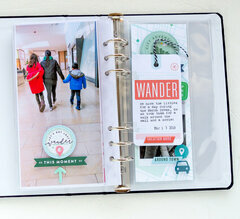 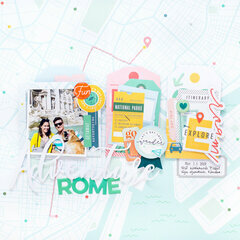 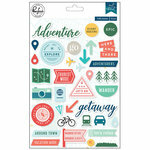 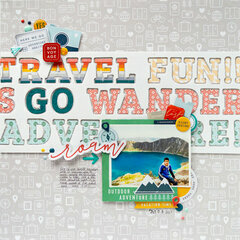 The pack includes phrases including "getaway," "explorers" "travel," a train, heart, map and mountain icon and more!